Pity poor Volkswagen. 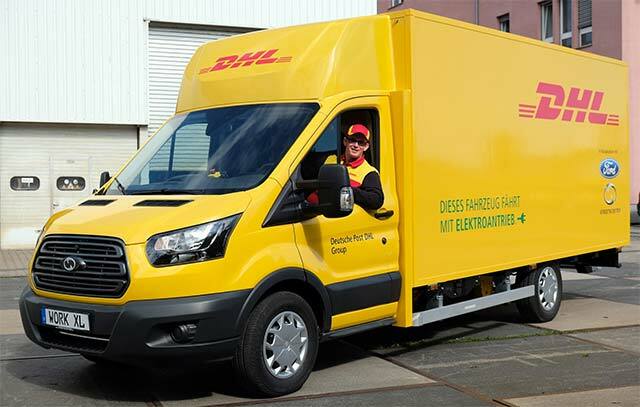 When DHL, one of the world’s largest package delivery companies, went looking for someone to manufacture electric delivery vans for it a few years ago, managers in charge of VW’s truck division decided to pass up the opportunity. 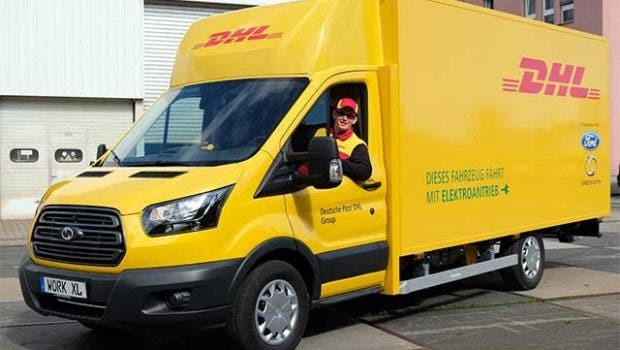 So DHL — known as Deutsche Post in its home country of Germany — decided to design and manufacture its own vehicles. Its latest factory in Dueren, which is near Cologne, is up and running and has an annual capacity of 10,000 small to midsize delivery vehicles. For larger delivery vehicles, those with 700 cubic feet of capacity and a payload of up to 3,000 lbs, DHL has teamed up with Ford of Europe to build its StreetScooter Work XL at Ford’s manufacturing facility in Cologne. The completed trucks will be based on the Ford Transit chassis manufactured at the company’s Otosan factory in Kocaeli, Turkey. Once the chassis arrives in Cologne, it will be fitted with a body designed by DHL and built to its specifications. Ford plans to manufacture 3,500 Work XL electric delivery vans each year. All of them will be used by DHL for its European operations, but both companies are assessing whether to offer them for sale to other commercial users. The Work XL can be fitted with a range of electric powertrains, the largest of which features a 76 kWh battery, a 120 horsepower electric motor with 200 ft-lbs of torque, and a range of 120 miles. Each Work XL is expected to keep 5 tons of carbon dioxide out of the atmosphere each year and save 1,900 liters of fuel. “With Ford, we have found the ideal partner who understands our flexible and customer-oriented way of production. Together, we are promoting electromobility in Germany and making inner‑city delivery traffic more environmentally friendly and quieter. With the new WORK XL StreetScooter, we now have the perfect e-van for parcel delivery in metropolitan areas, which in the future will also benefit other transport companies,” says Achim Kampker, CEO and founder of StreetScooter. Ford of Europe is also showing initiative in other electrified truck areas. It has recently introduced a plug-in hybrid version of its Transit Custom truck with a zero emissions range of 30 miles. It uses the award winning Ford EcoBoost 1-liter gasoline engine as a range extender for a total range of 310 miles. Whether any of these vehicles will cross the pond to America is unknown at this time. Why Europe would receive Ford’s blessing when it comes to zero emissions and low emissions delivery vehicles and not North America is anybody’s guess. Perhaps managers on the Continent are more focused on climate and regulatory realities than senior managers at Ford’s global headquarters, where the mood seems to be continued reliance on selling more and more F-150s until the oceans begin to engulf significant portions of the United States. Good luck with that strategy, fellas.